People who work in tough job sites, like oil rigs and mining camps, need a comfortable space to shower and change after their shifts. 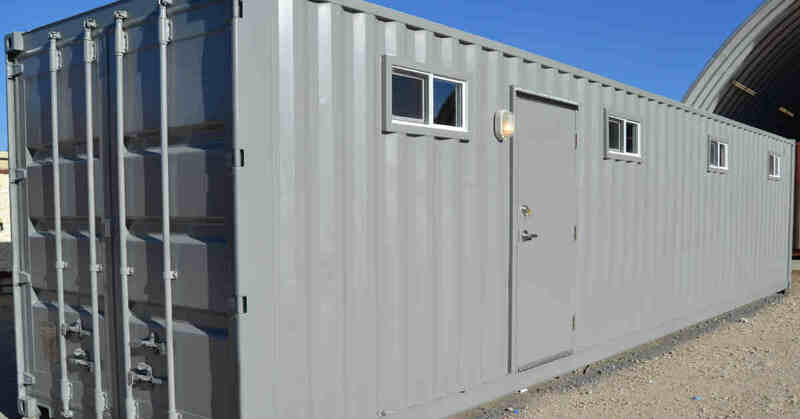 Portable shipping container locker rooms with bathrooms and showers are a fast and turnkey solution. When employees need to take a break, providing them with a tidy climate-controlled space will boost morale and improve retention. You can also rest assured that employee belongings will be secure inside the corten steel walls of a shipping container locker room. Inherently mobile, shipping container locker rooms will hold up to frequent relocation with minimal maintenance. Oil and gas drilling sites. Industrial plants, chemical plants, and other locations where employees may encounter hazardous materials. Golf courses and country clubs. 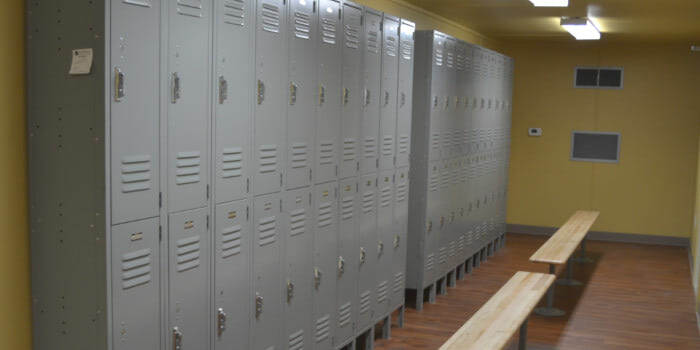 Containerized locker rooms and showers are turnkey. Quick setup and relocation, since no steps, ramps, tie downs, skirting, or foundation is required (for most applications). Transport shipping container locker rooms wherever you need them. 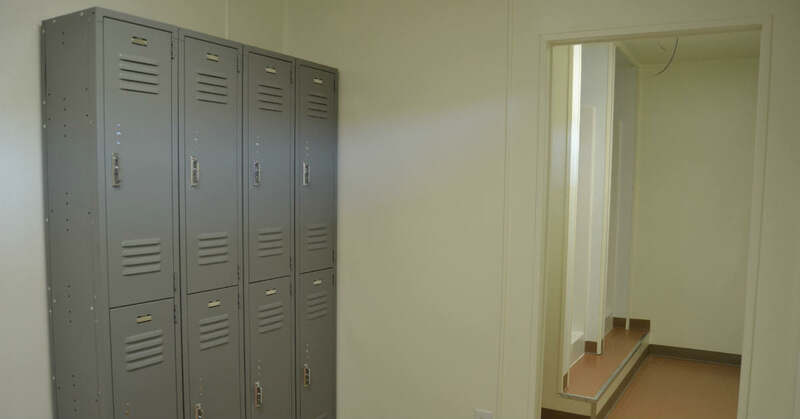 Thanks to their standardized sizes, shipping container locker rooms are the perfect size for trucks. They can be placed at your site by crane or forklift wherever there is flat, dry, and level ground. We also offer chassis trailers if you'd like to keep your locker rooms and showers on wheels. 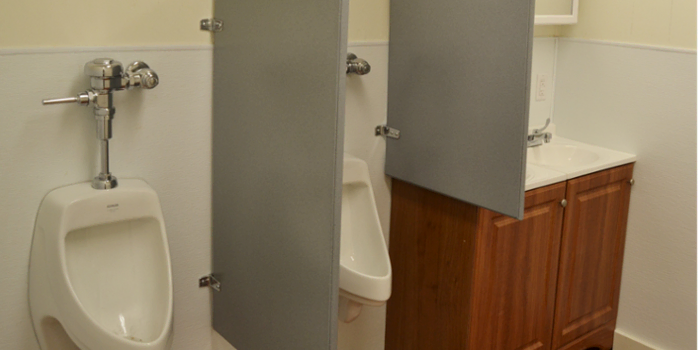 Thinking about a portable locker room with showers? We're happy to answer your questions. Contact us at 877-704-0177 or email sales@falconstructures.com.